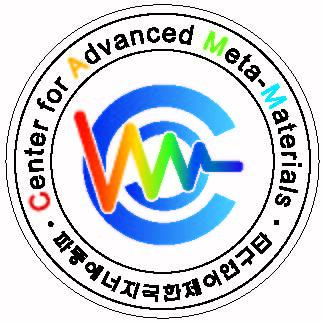 The symposium will be held at the Songdo Convensia, 123 Central-ro, Yeonsu-gu, Incheon, Korea. We list below some hotels, with negociated rates, located in the vicinity of the meeting venue (other hotel categories will be added soon). You can also use www.tripadvisor.com, booking.com, www.expedia.com or similar to search for hotels. We expect a large number of participants, thus it is strongly recommended to book your hotel as soon as possible. Studio Superior*: 165,000 KRW (+21% tax), room only and internet. 1 Bedroom Superior*: 195,000 KRW (+21% tax), room only and internet. 2 Bedroom Superior*: 315,000 KRW (+21% tax), room only and internet. *additional breakfast will be added 20,000 KRW(+21% tax) per person. Deluxe Room*: 200,000 KRW (+21% tax), including 1 breakfast and internet. Club Room*: 270,000 KRW (+21% tax), including 1 breakfast, club lounge/sauna access and internet. Deluxe Double: 210,000 KRW (+10%tax), including 1 breakfast. Deluxe Numaru (1 double + 1 single): 240,000 KRW (+10%tax), including 1 breakfast. King room*: 130,000 KRW (+10% tax), including 1 breakfast. Twin room*: 150,000 KRW (+10% tax), including 2 breakfasts. Deluxe Double or Twin*: 150,000 KRW (+10% tax), breakfast is not included. Breakfast is purchasable 19,000 KRW (+10%tax)/person. Superior Double or Twin*: 170,000 (+10% tax), breakfast is not included. Breakfast is purchasable 19,000 KRW (+10%tax)/person. To benefit from the conference rates, click on "Special Codes", and in the field "Corporate/Promotion Code" type "META"
Note: Organisers will not pre-reserve any rooms for the conference delegates.